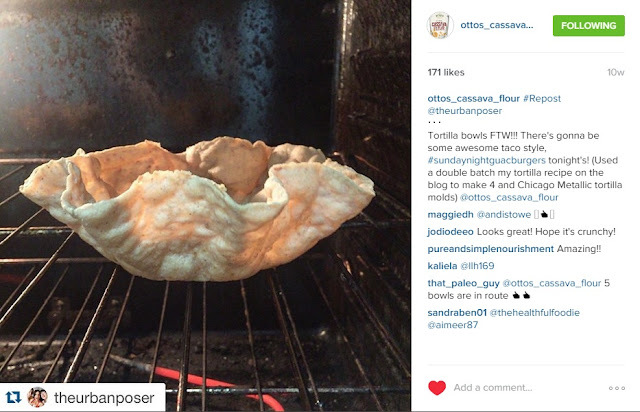 Jenni and Ben Hulet, authors of My Paleo Patisserie, started a tradition on Instagram a while back called #sundaynightguacburgers. 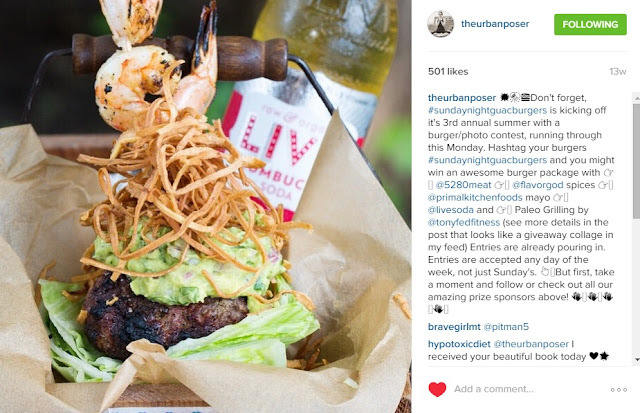 Every Sunday, they would encourage their IG friends and followers to create an epic, over the top pile of guac and beef (aka a "guacburger") and share it on Instagram. As you might imagine, the trend took off, and there are now over 1,200 posts using the #sundaynightguacburgers hashtag. 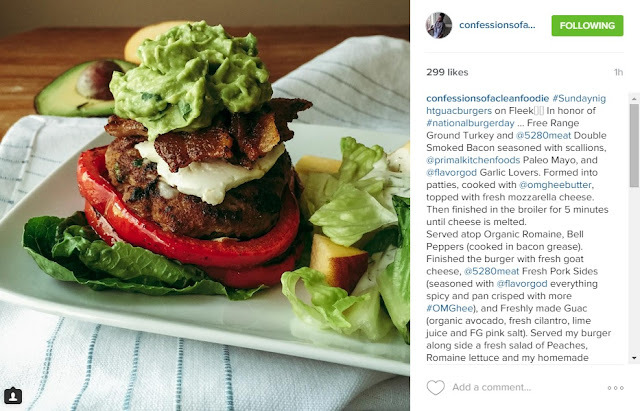 @confessionsofacleanfoodie brings it with this tricked out #guacburger featuring bacon fat fried peppers, mozzarella cheese, and double smoked bacon! You can see why @theurbanposer is the queen of #sundaynighguacburgers, she knocks them out of the park like the Bambino! 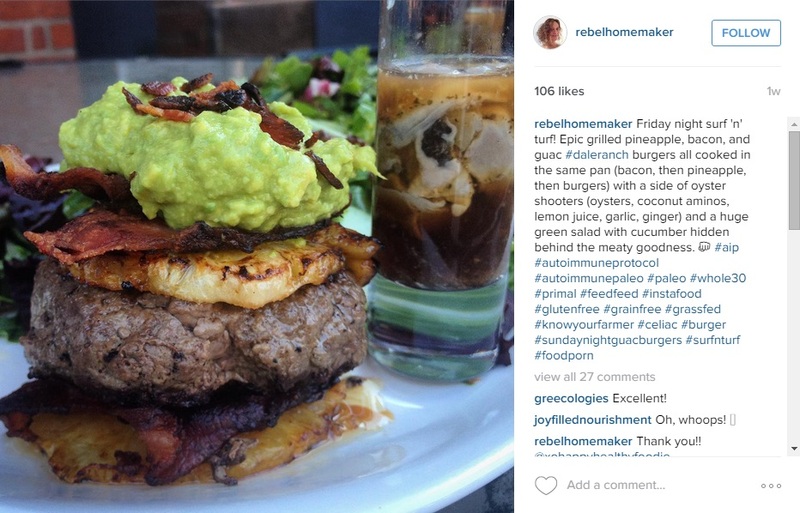 @rebelhomemaker shows that #sundaynightguacburgers isn't a complete #meatfest! Look! I see a pineapple underneath all that bacon, guac, and grassfed beef! I even get into the mix from time to time. 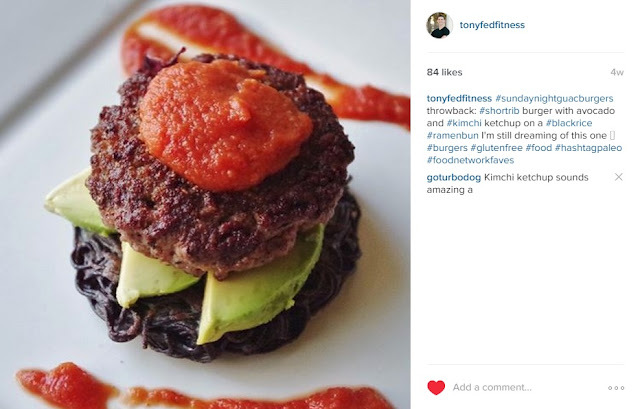 To get the recipe for the Asian-inspired Short Rib Ramen Burger I posted to my @tonyfedfitness IG, go here! As you can see, most of these burgers are over-the-top outrageously awesome, but you might not necessarily feel comfortable tackling a creation like this right out the gates. So for you, humble home Paleo chef, I would like to present a simple #sundaynightguacburgers template that you can follow, embellish upon, trick out, upgrade, and completely improve. To prepare the "buns", use a paring knife to core the heads of iceberg lettuce. Simply run the knife around the stem in a cone shaped cut and remove the stem. This will allow the leaves of lettuce to come off much easier. 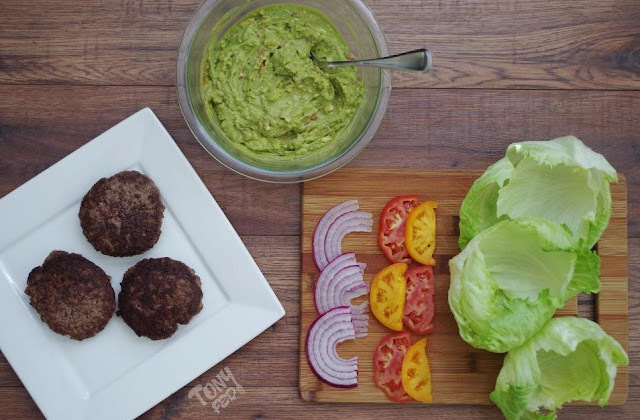 Carefully remove each leaf, but don't worry if you mess up a few, two heads of lettuce will provide more than enough lettuce wraps to manage three guac burgers! To make the guac, simply mix all ingredients together, cover, and chill until ready to serve. To prepare the burgers, heat your grill or skillet to medium high heat. Cook the burgers for 3-5 minutes per side, more or less depending on your desired level of doneness. Allow the burgers to rest for 5 minutes covered under some aluminum foil before serving. 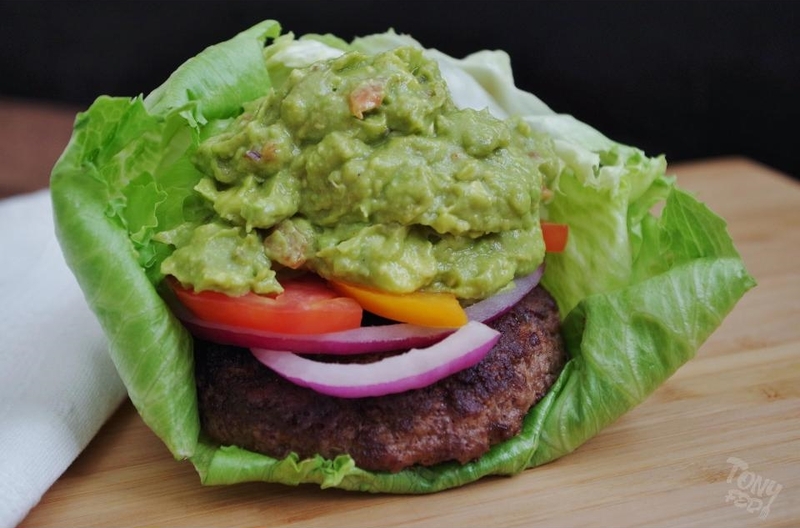 To assemble a guac burger, stack 2-3 lettuce leaves and place the burger patty in the natural pocket formed by the lettuce. Pile on the toppings and guac, fold up in the lettuce wrap, and dig in! Remember that a true guac burger has a much higher proportion of guacamole to beef than your normal burger would, so don't shy away from adding extra scoops!